SpayDay - the World Day of castration and sterilization pets. Date SpayDay annual is setted on the third Tuesday of February. World Spay Day was born in 1995 in the United States. The main idea of ​​this movement - to tell the public that castration is a vital necessity for animals. It also allows pet owners to castrate/sterilize their pets at a reasonable price. In 2015, Russia joined the first annual international action World Spay Day. The initiator of SpayDay in Russia became a veterinarian Anna Kondratieva, founder of the Cats Museum and art space Cats Republic. Also, the action takes place with the support of St. Petersburg Veterinary Department. Castration/sterilization - is an effective and humane way to keep animals healthy life, to reduce unplanned posterity at homeless animals and, as a result, to save the population from aggression of homeless dogs and cats. 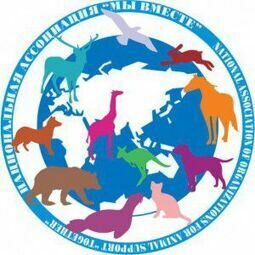 The organizer of the World Spay Day in St. Petersburg also became the National Association for the animal aid organizations "We are together". Today hospitals-partners of the action are planned for more than 500 transactions by the same profitable price. But unfortunately, a number of operations does not fundamentally solve the problem of homeless animals. Therefore, the organizers appeal to all the citizens with a request not to remain indifferent to this problem and to join the Spay Day movement. Everyone can become a part of the action! If you want to help homeless animals make a donation in a special box in the clinics-partners or make a prepayment on the animal's surgery for those who do not have sufficient funds to pay for itself. - 30% OFF for the dog. Everyone can become a part of the action and help for animals! To do this, you need to bring your pet to the clinic for castration or pay for one operation for homeless animal in the clinics-participants. Remember to solve the problem of stray animals it's not enough to feed cats and dogs that live near to you. It is necessary to prevent their emergence of the posterity doomed to short life. Wellcome February 23 to the clinics-participants where your can castrate the pet at preferential cost or pay operation of one homeless animal. February 12, Friday, the press conference in TASS was held, dedicated by sterilization of domestic and stray animals - World Spay Day 2016. The conference theme was the disclosure of the problem of reducing the population of stray dogs and cats. The conference was held in teleconference format from Novosibirsk. The MAKSIMUS printing house became the new information partner of the World Spay Day in Russia. Petstaxi.ru joins the International Action SpayDay! 23 February 2016, all participants will receive a discount of 50% on any trip to / from clinic participants. Just 50% discount on the trip from the hospital, on any other day, if an animal is left in the post-operative care. The discount is granted subject to appointment. Pre-registration ends at 19:00 on February 22 2016. Linteks company supported the World Spay Day! We thank our partners for support! Linteks company provided veterinary clinics-participants with materials today.